As the year of 2016 comes to an end, let us rejoice our accomplishments, growth and friendship through our fav pot luck party. Everyone contributed delicious food and we always enjoy eating, talking and laughing all done at the same time. Thanks to DP Joey for arranging the function room in his condo for our gathering. We look fondly forward to the coming of 2017. 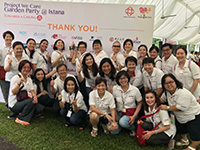 Once again, we are proud to be invited by Project WeCare to serve the community at the Presdiential Garden Party held at the Istana of Singapore. 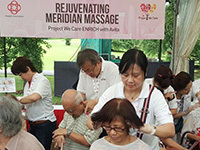 Most Meridian 101 Ambassadors volunteered themselves and we let over a hundred visitors and guests at the Istana experience the benefits of Meridian 101 acupressure and guasha with avita herbal essential oils. It was a tiring day for all of us but we all went home happy and fulfilled for it is our mission to share our preventive care skills. It was history in the making on 8 Oct 2016 as we officially launch Celergen in The Philippines. The grand event was held in the City of Dreams in Manila, a befitting venue as we soar ahead to help many more people build and realize their dreams. The launch was expertly hosted by PD Koh Siang and featured various speakers including Prof Lim Kah Meng, DP Alvin and PD Christine Wong. avita turns 9 years old! The theme of the night was Mid Summer Night's Dream. 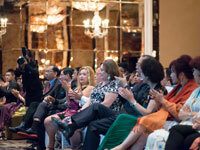 It was a grand celebration in the grand ballroom of The Shangri-la Singapore. Many of our leaders and distributors from across the region flew in and turned out in their best dresses and suits. 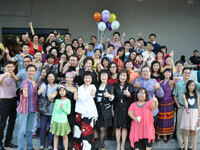 We also celebrated the birth of another Diamond President - Kwok Siu Ling, and many new Platinum Directors. Led by DP Alvin, DP Joey, DP Theingi, PD Chong Pheng, GA Wendy, GA Nancy and GA Ruby, we conducted the first Management Consultant Course (MCC) in Jakarta at the Krystal Hotel. We are committed to supporting our Indonesia teams to grow and establish a firm market in Indonesia. 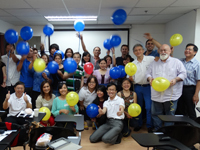 Congrats to avita Philippines on its 2nd birthday! It's been another year of growth and development. Many more good years ahead to come. 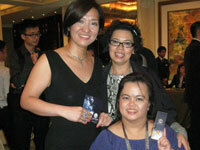 DP Alvin, DP Theingi and DP Siu Ling from Singapore joined in the celebration in Manila. Soaring Eagles Course was held in the Padma Resort in Bandung, Indonesia. This was yet another befitting venue as we transfromed ourselves into soaring eagles to fly across the hills, through the forest and into the unlimited sky. This course was directed by DP Joey Tan. 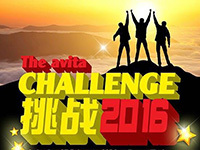 The avita Challenge was organized as a team-based quiz. 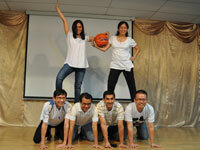 It was distributor training designed in a fun and enegaging way. Team members were tested on their product knowledge, business know-how and soft skills. It was an afternoon of great fun, excitement and everyone brought back useful knowledge and learnings. 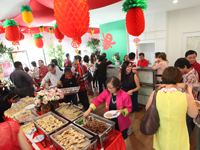 It's the Chinese New Year of the Monkey and we celebrated it in style at our annual Spring Feast in avita Singapore HQ. It was another packed crowd of distributors, customers, families and friends. 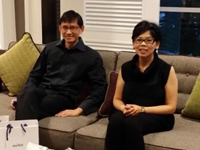 Celergen users Chok and wife Lee Kiang walked home with top lucky draw of one year supply of Celergen! 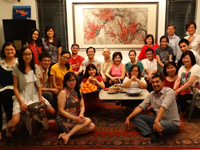 We continued the CNY celebration at DP Josephine's home in the evening. DP Jo was born in the year of the Monkey. We conducted the 3rd and last Meridian 101 Ambassador Mastery Course for the year of 2015 with a big trainee batch. We hope many of them will go on to lead Meridian 101 growth and expansion all over the world. Thanks to Course Director PD Koh Siang for her effort. avita turns 8 years old! 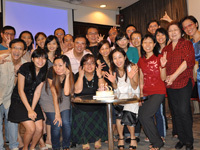 We celebrated our 8th Anniversary Awards and Dinner at ParkRoyal at Pcikering, Singapore. 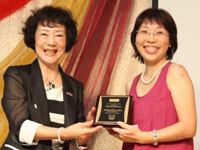 Big congrats to Theingi and Wai Teng for attaining their Diamond President award. Scent'al Group also put up a memorable performance featuring many superstars like Micharl Jackson (Joey Tan), Marilyn Monroe (GA Wendy Kwong), Madonna (GA Gina Ilarde), Lady Gaga (PD Mary Kwok) and many others. It was a fun day of team bonding and a race that pit speed, wit and teamwork. 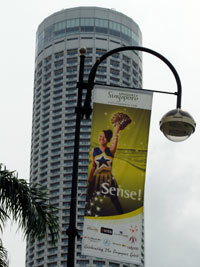 The teams raced across the island of Sentosa. Thanks to avita staff for designing the games and manning all the stations to let us have so much fun. PD Elysee led his team of Pinoys to emerge as the winning team and walked away with S$5000 cash prize! avita Philippines celebrated its 1st anniversary on 30 May 2015. Thanks to PD Jinnie, PD John and PD Johnny for leading the expansion of avita into Manila, Cebu, Davao and other parts of The Philippines. 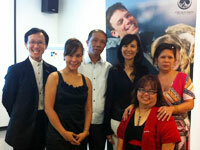 Many leaders flew in from Singapore to celebrate this joyous occasion with our PH Team. 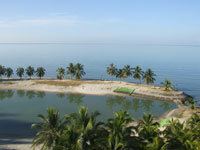 We chose Cebu as the venue for Soaring Eagles Course this year. With its beautiful beaches and seascape, Cebu is truly the fitting place for us to train and launch ourselves skyward as soaring eagles to fly towards our success. The course was directed by PD Theingi. 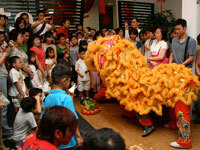 As with avita's tradition, we welcome the Chinese New Year of the Goat with a huge party. 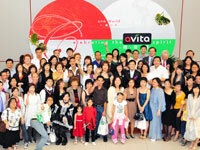 The avita HQ in Singapore was packed to the brim with distributors, customers, families and friends. 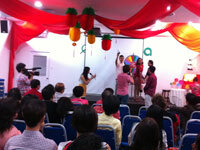 Everyone had a great time of celebration and many walked away with game and lucky draw prizes. We look forward to a prosperous new year ahead. We celebrated a night of recognising the top earners from across the region. 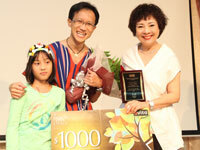 DP Joey topped the Big Earners Chart with S$60K commission in a single month. It was a record in avita. 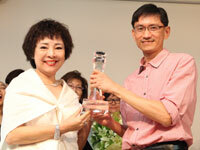 Joey was incidentally away on holiday with his parents so his wife, Puay Boon, received the honor on his behalf. Visioning 2015 for the Philippines Team was held at a beautiful venue in Tgaytay in The Philippines. Thanks to PD Jinnie for organizing the off-site team discussion that we co-created the important guiding plan for 2015. The PH team leaders were joined by PD Theingi, DP Alvin and DP Josephine from Singapore. We kick-started the new year with a foundational training course for distributors to learn and master the skills to succeed in the network marketing profession. The training was led by DP Josephine, DP Alvin, DP Joey, PD Theingi, PD Siu Ling and PD Koh Siang. Over 60 leaders from Singapore, Malaysia, Taiwan, Philippines and Indonesia gathered at Tg Sutera Resort for this year's Leadership Training. 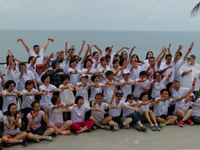 Overlooking the majestic South China Sea, blanketed by the vast blue sky, we had plenty of learning, dancing, fun, bonding and in the process transformed ourselves into soaring eagels to achieve daring success in Avita. 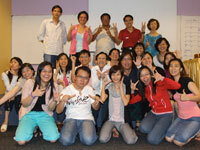 The training was led by DP Maria Moon, Josephine Chang and Alvin Yong. DP Alvin, PD Theingi and GA Winston flew to Manila to support PD Jinnie and her team of pioneers to spearhead the Avita expansion in The Philippines. It was a very fun and gainful trip. We are so excited for Jinnie and her rapidly growing team of partners, many of whom are experienced entrepreneurs and business owners, and all lovers of Celergen and Avita products. 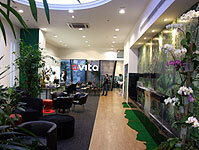 Next will be the launch of the new Avita Stock Centre in Manila on 1 May 2014! Led by DP Joey and PD Wai Teng, the team of 3 headed to Jakarta for a short but very gainful trip to meet with many friends of Ida to present to them the A-to-Z of Celergen. We are extremely excited to welcome many potential distributors onboard Scent'al Group to realize the very huge market potential in Indonesia, and help many to benefit from Celergen. 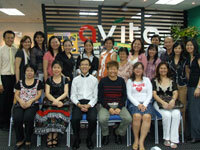 This year marked the first time that the Avita Spring Feast was held in Sity-Avita KL stock centre. 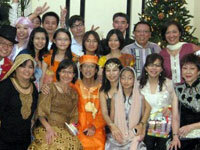 Many of us travelled to KL to join our Malaysian associates to celebrate the joyous occasion of welcoming the Year of the Horse. Besides creating a record 1-day sale on this special day, we also threw a surprised birthday celebration for DP Alvin on stage. 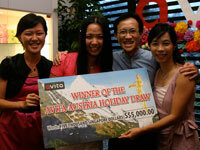 This year's Avita Spring Feast, hosted by DP Jo and Alvin, gave away $20K worth of prizes to many happy winners. We also had a special program in which over 150 participants made music together as a symphony! It was an amazing experience and that's really the Avita Spirit! 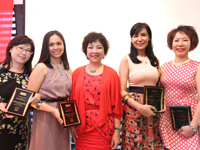 Platinum Director plagues were awarded to newly promoted PD Kat, Elysee, Jinnie and May. 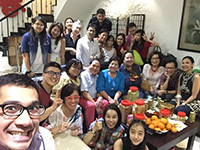 To welcome the year of the Horse, we all galloped to CEO's home to wish her a happy new year filled with prospersity and good health. We are thrilled to have many new partners joining us at CEO's home this year. It was a cool evening out in the garden and we all enjoyed good chats under the stars. New year always offers plenty of reasons to wine and dine. To welcome a great year ahead, we decided to hold a Scent'al Get-together at Koka and oenjoy a wonderful steamboat feasting. This event was gamely organized by PD Theingi and PD Koh Siang. We enjoyed good food, good joke and good company. We wish a new year filled with love and joy for all in the Scent'al Group. This trip to Jakarta by DP Joey, DP Alvin, PD Wai Teng and PD Siu Ling was to support the Celergen market development by GA Tina from Medan and GA Angga from Jakarta. We met many new friends of high potential and look forward eagerly to building up a passionate and capable Scent'al team of distributors and leaders in Jakarta for expansion into the rest of Indonesia. 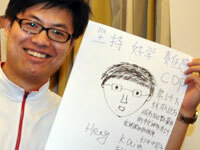 We also mapped out new strategies for success going forward. Go, go, GO! This trip to Manila by PD Theingi and DP Alvin helped launch Jinny into Challenging PD position. We are excited of the immense market potential in Manila. Jinny is excitingly building up a strong team of passionate network entrepreneurs to Celergize the whole of The Philippines! Amidst days of hardwork, we took a Sunday break at Tagaytay and simply enjoyed the lovely sky and lake, and did nothing. Go, Jinny, GO! Happy birthday, Avita! Avita turned 6 on 10 Aug. 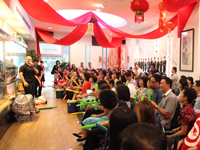 It was an afternoon of celebration for all distributors and customers at Avita HQ in Singapore, with lots of fun, games, performances by distributors, lucky draws and buffet. Scent'al celebrated the promotion of Joey Tan as Diamond President and Christine Wong as Platinum Director, and Alvin as the Diamond of the Year. Theingi, Joey and Koh Siang received the Most improved Distributors Awards which entitled them to a $2400 training course sponsored by Avita. DREAM BIG was a special session designed by DP Alvin for all DPs, PDs and potential PDs of Scent'al World, held at the Professor Brawn Cafe. We all got to know ourselves deeper, each other better and our dreams clearer. 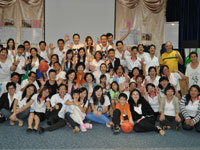 We all had fun along our discovery journey, paving the way for greater individual success in Avita. Dinner at the cafe was superb as well. This was our 2nd trip to kickstart the new market for Celergen in Yangon, Myanmar. The launch event was a grand one held at Sedona Hotel, attended by over 80 guests, with local media coverage. Led by PD Theingi and CDP Joey, and supported by DP Alvin, we witnessed the growth of local teams under GAs Vivian, Momo, May, Helen, Thida, Putoo, Poat, Win Hmi and Khine. Following the launch of Matrixcell in Singapore, we introduced this exciting new product to our associates and customers in Jakarta. This trip was also to explore market development with potential business associates for the rapidly growing Indonesia market. We made many new friends and potential partners. 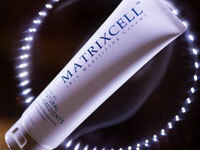 MATRIXCELL, another breakthrough product of Avita, was launched on 18 May 2013 at The St Regis Singapore. The event was a grand occasion that saw a turnout of 700 associates and guests from regional countries. Matrixcell is the answer to breast cancer prevention and protection. For more info, visit the official website www.matrixcell.com. 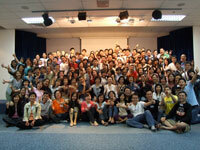 Celergen has been transforming the life of so many people all over the world since its launch on 23 May 2009. 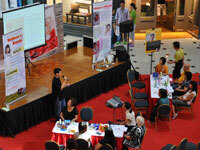 This afternoon, associates and customers all gathered to share their personal experiences. We heard many moving real life stories of people who benefited greatly. Many also shared how Celergen created for them a rewarding business opportunity. It was a tremendous learning experience for everyone. The event was hosted by DP Josephine and Alvin. Over 100 network marketing associates from Singapore, Malaysia, Taiwan, Japan, Hong Kong, The Philippines, Brunei and Indonesia attended this weekend training course led by DP Maria, DP Chris, DP Josephine, DP Alvin and GM Ben. The course helped the Platinum Directors and their teams to develop strategies and plans for their Fast Track Celergen Challenge from Mar-May 2013. 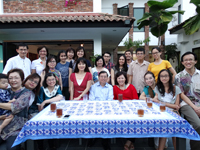 This year, we held a special Spring Feast to celebrate the Chinese New Year with all our Malaysian associates and customers. 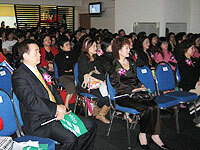 The mega event was held in the Sity-Avita KL Stock Centre. 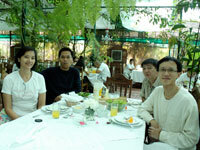 Our Scent'al World team from Singapore drove up to KL in a few cars, enjoying good food and company enroute. The next morning, we enjoyed a morning of rock climbing at 1 Utama Mall before heading back. It was a wonderful team bonding time for all of us. Gong Xi Fa Cai! 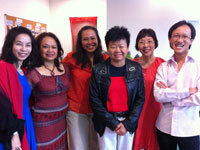 It's time to welcome the Year of the Snake and get ready for greater prosperity in this coming Chinese new year! This year's annual Spring Feast was packed with associates, customers and their family members. It was a fun afternoon of stretching and sweating out at Avita Main Auditorium for good health and also for a mighty good cause. 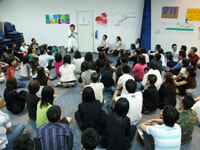 Charity Yoga 2013 was led by yoga instructress Tio Huay Lin. Participants enjoyed the session tremendously and donated generously in support of the Children's Garden Home in Kenya that provides homecare and education to street children. "My Generation, My Songs 那年，我们爱唱的歌" was a first of its kind charity concert jointly organized by Avita and the People's Association of Singapore. It featured famous local singers from 1950s till the present day, and raised over $150K for Project We Care to help the needy. And in Nov, we celebrate the promotion of a new Platinum Director in Christine Wong. Congrats! Everyone dressed up in sparkling gold for the Avita's 5th Anniversary Celebration held in Singapore HQ, hosted by DP Josephine and Alvin. 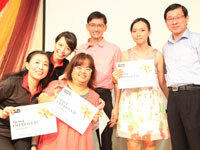 It was a day of fun, entertainment and lots of golden harvest in the form of awards, prizes and lucky draw. 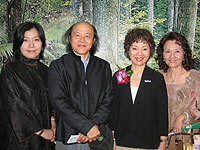 Leaders from HK, Japan, Taiwan and Malaysia gathered in Singapore. The "5 Years Look Back" video was especially moving. Scent'al Group won the Best Performance Award with the most hilarious of skit entitled "Gems of Avita". 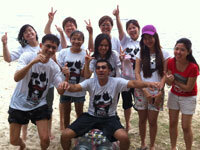 Thanks to Avita company staff who organized this fun-filled Team Bonding Day at the East Coast Park. A total of 6 teams led by PDs compete with one another at the beach. Through teamwork, wits and creativity, Team 3 led by PD Joey became the winning team and team members proudly walked away with a box of Celergen each. Scent'al Group celebrated the finale by dumping DPs Josephine and Alvin into the sea! Mid-year was a great time to review and plan forward. Thus, we took a day off to review our performance and discuss individuals' goals and group strategies. 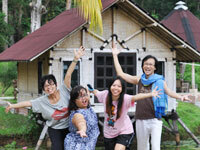 After that, Wai Teng, Theingi, KeSiang and Alvin drove up north to spend a few days of fun amidst nature and by the South China Sea at Tg Sutera Resort. 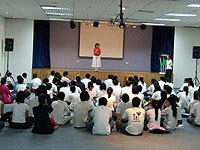 A Project Course is the first foundational training program for all new distributors. Through 6 sessions plus a day of exam, this course wille quip the new distributors with presentation ability on the Company, Product and Compensation Plan. 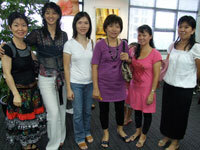 Graduates from A Project will embark on their Avita business with poise, confidence and competence. Congrats to our first batch graduates in 2012. Success Journey Course (MCC) is an important training program under the Scent'al Success Training System that equips distributors with effective skills to excel in their Avita business. It was a fun day of experiential learning. 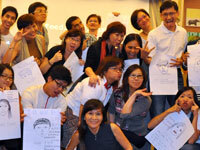 Trainers included: DP Josephine, DP Alvin, PD Siu Ling, PD Theingi and PD Joey. 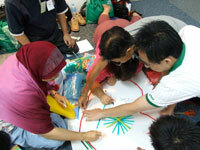 Avita supported Project We Care held at the Istana, Singapore with a team of trained Meridian 101 Ambassadors. 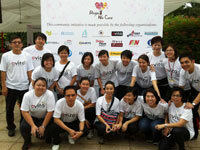 Project We Care is a social initiative by 40 CEOs, supported by People's Association, to help needy families. 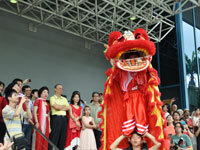 President Tony Tan was the guest-of-honor. 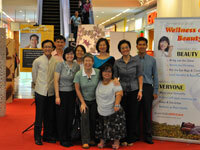 PD Joey helped Minister Lim Swee Say to experience the benefits of meridian acupressure. 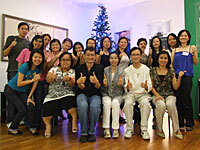 In line with the launch of Celergen Serum Royale in 2011, our Year End Party was themed a Royale Night. Everyone dressed up in multi-cultural royalty fashion. Even our children enjoyed a wonderful night of fancy dress! As we say bye-bye to 2011, we look forward fondly to 2012 for another year of solid teamwork, friendship, success and joy in Avita. The long awaited world launch of the Celergen Serum Royale finally happened on 29 Oct 2011 in Singapore at St Regis Hotel. 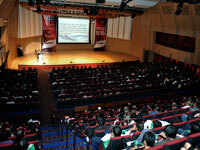 Many oversea delegates and Avita distributors and customers joined in the event. It was a memorable day that marked the birth of yet another life-changing product in the Celergen Swiss marine cell therapy line under Avita. 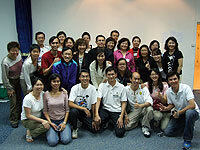 DP Alvin conducted the first Meridian 101 Ambassador Mastery Course in India while on his family's Seva 2011, a one year social sabbatical in India and Africa. 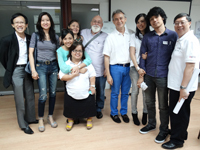 The 8 qualified Meridian 101 Ambassadors are all YES!+ teachers and volunteers with the Art of Living Foundation. The course was held at the AOL Ashram in Bangalore, India. This was to be the first of many trips to Jakarta to open up the Celergen market in Indonesia. 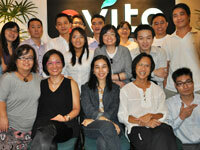 Avita is a fun business because we travel, eat and share about Celergen together. It is hardly work if you share good things with others! 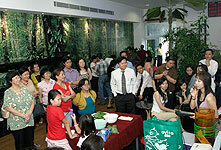 Joey, Wai Teng and Alvin had an enjoyable time making many new friends and Celergen customers. New Distributor Orientation (NDO) is an important foundational program to equip new distributors on Avita business know-how and basic skills. It was a day of learning, friendship and bonding for all present. 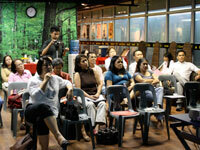 Trainers included DP Josephine, DP Alvin and PD Joey from Scent'al World. 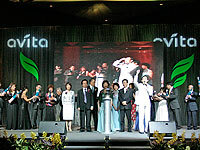 Malaysia icon and superstar Dato Siti Nurhaliza launches her Avita business in Kuala Lumpur, Malaysia on 27 Nov 2010. 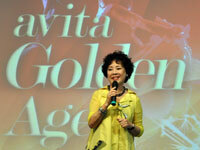 Avita CEO Ms Lee graced the happy occasion. “Beauty is a gift from God, but it needs to be constantly nurtured. 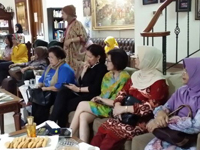 It is important to take care of yourself from inside out or you’ll age before your time," said Dato Siti. 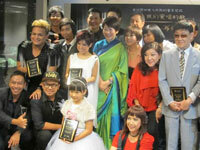 Living the Dream was the theme for the first Avita Awards Nite held at the Marina Bay Sands. 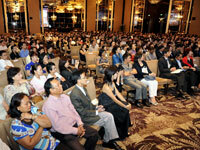 This grand event was attended by distributors and guests from many countries. 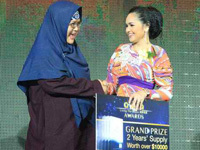 The grand prize was $10,000 worth of Celergen presented by Malaysia icon Dato Siti Nurhaliza to Suadah Salleh. Pot luck party is always fun because you get to taste all sorts of unusual food. 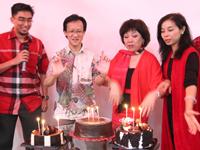 The Scent'al Family gathered at Infinia Condo on 10 Aug to celebrate together as a group on the 3rd anniversary of Avita. 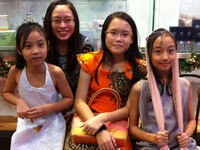 We also celebrated the birthday of Josephine and Monica. 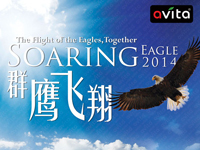 Avita Taiwan was invited to showcase our wellness solutions at the LOHAS Exhibition in Taipei. Our Taiwan Scent'al team enjoyed 4 days of gainful interaction with potential customers. PD Joey Tan was interviewed and featured in the June issue of Health No. 1 Magazine. 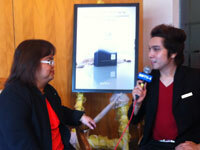 He shared how Avita bio-aromatherapy and Meridian 101 can help to enhance good health and prevent allergy concerns. Click to read article. 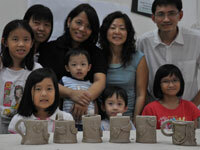 PD Joey Tan and his team members spent an afternoon at Clay-Street.com Pottery Studio designing and making Team Mugs for use back in Scent'al World. Re-washable ceramic mugs are eco-friendly. It was a fun afternoon of unleashing creativity and team bonding. DP Alvin Yong and PD Joey Tan spent a week supporting our Scent'al partners in the Manila stock centre and graduated the pioneer batch of M101 Ambassadors in The Philippines. 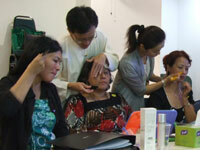 PD Joey's M101 Beauty workshop attracted a full-house attendance! In collaboration with Millenia Walk, we held a Meridian 101 exhibition and conducted experiential workshops to promote self-healing therapy using Avita range of wellness products. It was a gainful promotional campaign and a great OJT experience for many newly trained M101 Ambassadors. 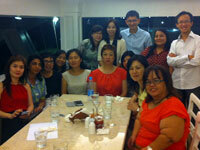 It was a wonderful seaside meeting at Port Dickson. 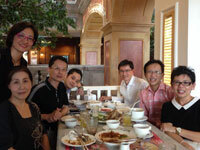 The Ipoh team of 9 drove southward from Ipoh and KL, while Alvin took a leisure drive up north from Singapore. 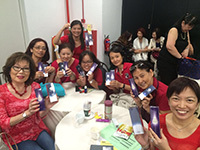 We took the opportunity to do a pre-launch training on the new product - Pure Secrets. The growth of our Meridian 101 team in Singapore ended on a high for the year 2009 with another fresh batch of Ambassador graduates. 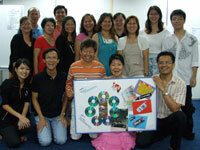 This course was directed by PD Joey Tan, assisted by trainers Theingi, Soo Ping and Alvin. DP Alvin Yong conducted 4 days of network building strategy and Meridian 101 for BEAUTY skill training for the Scent'al Team in Manila. In between, we toured the Sonya's Secret Garden and enjoyed an organic salad lunch there. 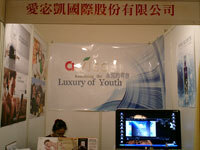 Celebrating the Luxury of Youth is the theme for Avita's 2nd Anniversary on 10 Aug 2009 at the Singapore Conference Hall. It was a memorable event attended by distributors, customers, family and friends from Taiwan, Malaysia, Hong Kong, Japan and Australia. One of the highlights of the celebration was a fantastic action-pack dance performance put up by 40 of our distributors. This was a historical event when Avita gave birth to CELERGEN, the world's first and only Swiss Marine Cell Therapy Supplement. 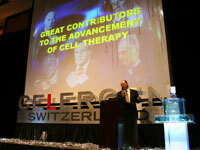 Keynote speaker was cell therapy expert Prof/Dr Charles Vodak. 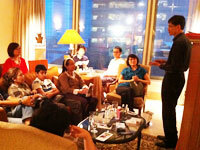 It was held at the St Regis Singapore and witnessed by international partners and guests. The 3rd batch of Meridian 101 Ambassador Mastery Course was held in Singapore, led by Trainers Alvin Yong, Theingi Soe and Joey Tan. 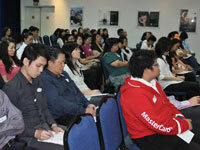 This is an 18-hour course to train Meridian 101 Ambassadors to expand our teams in Singapore and Malaysia. "Avita's Got Talents" was an innovative training and educational program dressed up in a fun experiential format with prizes thrown in. Distributors compete against each other in a healthy and fun competition. 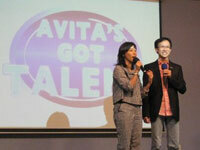 Judges included Avita CEO Ms Lee, R&D Prof Tsai and Prof Lin. The event was hosted by DP Josephine and Alvin. 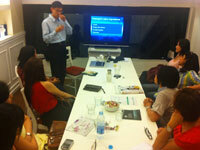 Meridian 101 Chief Trainer DP Alvin Yong conducted the Meridian 101 Ambassador Mastery Course in Ipoh and KL. He was assisted by Meridian 101 Trainer PD Theingi Soe. 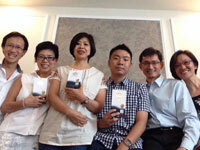 These pioneer batches of Meridian 101 Ambassadors will lead the expansion of Meridian 101 in Malaysia. Members of Scent'al Group from Singapore, Malaysia, Taiwan, Hong Kong and Australia attended the 2-day course "Invincible Strategies for Success" led by Master Hong in Singapore. Success is about personal breakthroughs, and team work and spirits. 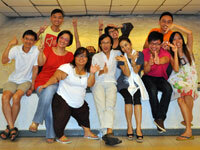 The Scent'al Team in Ipoh gathered excitedly to plan and prepare for the year's challenges, led by DP Alvin Yong. 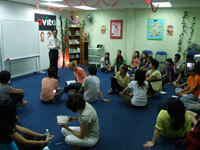 Alvin also conducted a self-realization training "A Life with No Limits" on 8 Feb.
Of course, we always enjoy good food in Ipoh. We held our biggest Meridian 101 workshop in Avita Singapore, led by Meridian 101 speakers PDs Chong Soo Ping and Joey Tan. We had an audience of 130. 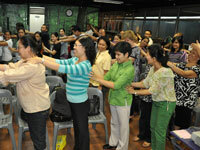 Everyone enjoyed hands-on learning of acupressure massage and the benefits of Avita herbal essential oil application. 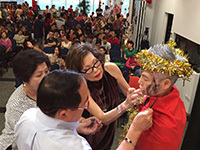 Over 500 distributors, customers, family members and friends enjoyed a fun-filled and activity-rich Spring Feast at Avita Singapore to welcome the new year of Ox. 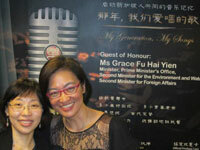 Ms Eileen Lee was the grand lucky draw winner. The pursuit of success is an 'inside job'. 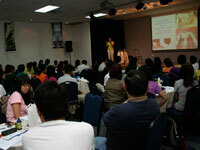 200 distributors attended a personal transformation training program entitled "Secret of Happiness" conducted by Spiritual Ocean. We all gained important inner clarity of self and ingredients for happiness. It was a joyous weekend of celebration and friendship at the opening of Avita stock centre in Ipoh, managed by PD Chun Moy Fah. The happy occasion was graced by Guest-of-Honor Y.B. Nolee, Adun Tualang Sekah. The Scent'al team from Singapore travelled to Ipoh to join in the fun. 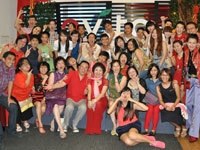 The joyous mood of Avita's 1st Anniversary Celebration arrived at Kuala Lumpur, Malaysia. The event attracted a strong turnout of over 200 distributors, customers and guests. DP Alvin Yong was invited to give the opening and closing address. Avita's leaders from Taiwan, Japan, Malaysia, Australia, Hong Kong and Singapore gathered for a 1-day team building fun as well as getting to know each other. 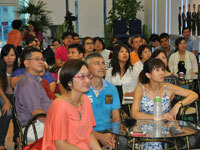 The day's program was led by DP Alvin Yong and co-hosted by DP Josephine Chang. 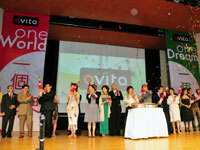 Avita's 1st Anniversary Celebration was entitled "One World, One Dream" and it was held at the Singapore Conference Hall. We enjoyed a tremendous turnout of distributors, customers and friends from Taiwan, Malaysia, Japan, Hong Kong and Australia. 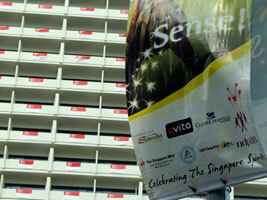 Avita is proud to be the Principal Sponsor of Singapore's National Day Parade 2008. Scent'al World places education and training at a high priority. DP Alvin Yong spent 4 gainful days in Ipoh, Malaysia and conducted Opportunity Talk, Leaders' Training and Business 101: Success Journey for a spirited group of Scent'al distributors there led by PD Chun Moy Fah. 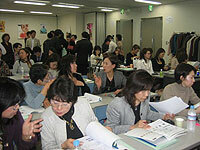 The learning spirit in Japan is infectious! DP Josephine Chang spent 5 days in Tokyo to conduct a series of training to pass on critical product knowledge and business know-how to our Scent'al distributors in Japan. Thanks to DP Xiao Meng who provided the translation from Mandarin to Japanese. 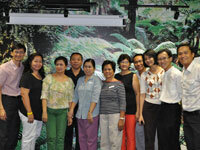 Scent'al distributors from Singapore and Malaysia attended the 2-day Gold Leadership Program held at Avita Singapore. Gold Leadership is an experiential learning program that equips Avita distributors with business knowledge and skills, goal setting and action planning skills. 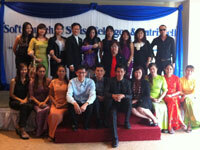 Scent'al distributors and customers gathered in KL for the opening of the Avita KL showroom in Malaysia. 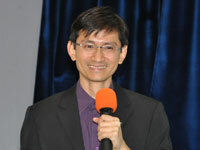 Avita's R&D director Professor Tsai also gave a talk to share valuable product knowledge with all present. 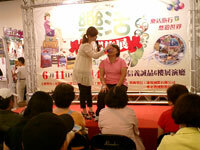 Scent'al World was invited to participate in the Singapore Active Aging Carnival to introduce natural wellness and meridian acupressure massage therapy to senior citizens and families to promote healthy active aging. We showcased Meridian 101 Therapy with Avita herbal essential oils, to the delight of many guests. 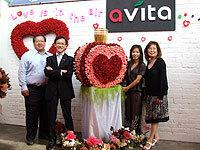 The opening of Avita's Taiwan showroom was a milestone development and marked the first of many regional offices and showrooms to be launched outside of HQ Singapore. 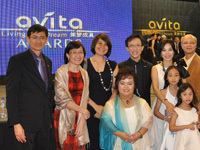 It was an historical evening for Avita as distributors and guests from Australia, China, Hong Kong, Japan, Malaysia, Myanmar, Taiwan and Singapore attended the Inauguration of Avita at the Raffles City Convention Centre in Singapore. Our own dancers performed the Singapore's National Day Song "Will You". 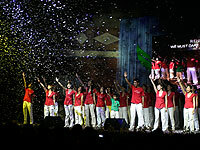 Avita was the principal sponsor for NDP 2007. 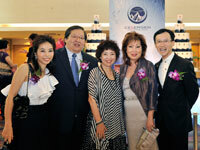 Scent'al World hosted the soft launch of our newly opened Avita Showroom at Commonwealth Drive, Singapore. It was a wonderful event as distributors, customers and families gathered in celebration and enjoyed the demo of numerous newly launched Avita wellness products.